So – I guess the easiest and most obvious question to ask as we begin the 4th week in the season of Advent is, “Are you ready yet?” I mean you only have 6, maybe 7 days and a few hours to be ready, right? Do you have everything that you need to get, gotten? Do you have everything that you need to do, done? Do you have everyone you need to contact, contacted? Do you have everything that you need to cook, cooked or bake, baked? Well, do you? Are you ready, yet? Now my guess is that nearly every one of us has an answer to that question today. And some of us have a great deal of anxiety when thinking about our answer to that question. But when I ask that question, you may be surprised to hear me say that I’m not referring to your preparations for Christmas next weekend. In fact, I think our celebrations of Christmas often have very little to do with being children of God who are trying to follow Jesus Christ. As my own journey as a follower of Christ has unfolded, I actually care less and less about when or where or even how Jesus came. I care less and less about the historical events and details of the how, when, and where Jesus came into the world. But each and every day of this life in Christ, I’m drawn deeper and deeper into the awe and wonder and amazement that is simply this – Jesus came. Somewhere in the world, at some time that most Christians believe was around 2000 years ago, Jesus came. Not in a wild Hollywood entrance on a red carpet. Not swinging a sword on a chariot of power and conquest. Not in a massive expression of material wealth and spectacular possessions. Jesus, just came. And because of that brothers and sisters in Christ, the world has never been and never will be the same again. I don’t think Mary was too concerned about presents or parties or ribbons or anything else when the angel Gabriel came to visit her. Mary wasn’t a woman of high social status in this little town. Mary wasn’t a famous politician or movie star. Mary was a simple ordinary everyday girl whom God had chosen to come to. I don’t know if that’s really what the conversation between Mary and Gabriel was like. Whatever it was – Mary did say that she was ready. It’s interesting, isn’t it, that God wasn’t asking her to go anywhere. Or speak to anyone. Or liberate a nation of slaves. God was asking her to have a child. God’s child. God came to Mary. Professor Henry Langknecht from Trinity Lutheran Seminary in Ohio shared a fascinating insight about Mary this week. 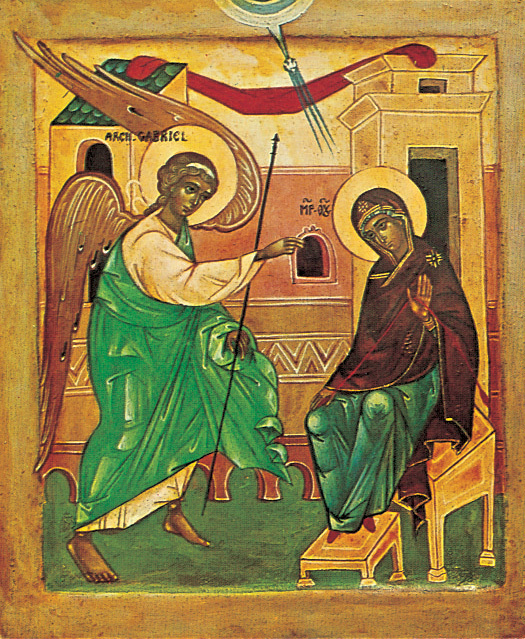 Professor Henry wrote, “Mary was visited by Gabriel and called by God to find a place, to make a home for Jesus. Her body was to be that place. Her womb was to be the home of God. Part of the mystery of the incarnation is that somehow the creator of every place and every home in the universe asked for and was granted a particular home in the womb of Mary of Nazareth. Every day Christians are invited to live into Mary’s paradox of being the small place where the maker of all places can dwell. So – are you ready? And your answer and my answer to that question will hopefully be the same just a few days before Christmas as it is in March or June or August next year. The good news of life in Christ that we celebrate at times of the year like this is not found in where or when or how Jesus came – but that Jesus did come and continues to be present in every one of our lives today. I pray for God to bless you this week as you complete your preparation. And in the midst of preparations that may feel a little overwhelming or challenges that may be happening in your life that are anything but joyful or easy, I pray that you remember that Jesus came. That Jesus came to Mary, an ordinary young girl from Nazareth. And – that Jesus came for ordinary everyday people in western North Dakota like you and me too. May we discover once again in this last week of Advent, that God always chooses the ordinary to do something extraordinary. I think we’re ready. Come Lord Jesus, come to us we pray. Amen. This entry was posted on Tuesday, December 20th, 2011 at 1:49 am	and posted in Recent Sermons. You can follow any responses to this entry through the RSS 2.0 feed.